Anglers know the same from hard-won experience. In fly fishing, accuracy is everything. No one else has ever approached rod design with the express intent of increasing accuracy. You hear about power, sensitivity, and lifting power. What if you could have all of that plus extreme accuracy? 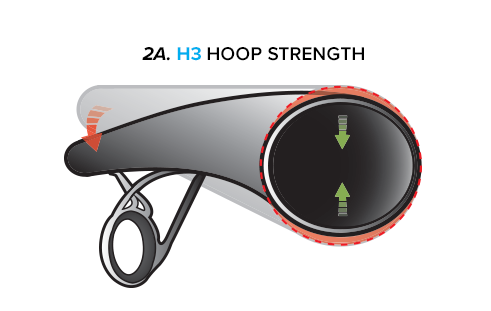 By strategically reinforcing the rod and increasing hoop strength we prevented the rod from ovalizing when flexed, damping the vibration as the rod unloads. That way the line releases with significantly reduced tip swing. Without all that noise at the tip, the line takes a truer path to the target. Helios 3F - "F" is for feel. It's the rod for short to medium distances - out to 60 feet. You'll feel every nuance of the rod when you cast. Helios 3D - "D" is for distance, your new weapon for high winds, higher line speeds and big flies. It's for pounding big streamers with sinking lines or heaving large nymphs in a fast flowing river. No matter which rod you choose, Helios is designed to significantly reduce the variables at the point of release, focusing energy to the intended target. No matter what happens behind you, the energy of the forward cast is crisply released through a tight window created by the most significant reduction in horizontal and vertical tip frequency ever developed. * Covered by The Orvis 25-year guarantee - To repair or replace no matter the reason. 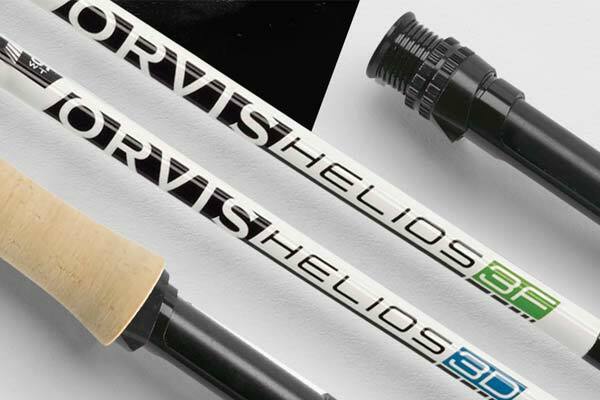 * Helios 3 rods are proudly made in Manchester, Vermont, USA. Great news Steve. I just picked up an Orvis Mirage reel second hand the other day, and I have to say I'm super impressed with the quality and design. Orvis is a brand that doesn't seem to have been pushed much here in NZ, but I'm thinking it should be!